Don't let gearmotor tariffs hurt your business! The new tariffs on imported Chinese products may have a big impact on the cost of your components. There has never been a better time to consider a domestic source for gearmotors, actuators, and gearing. Rex Engineering is less impacted by rising costs because most of our components are tariff-free: either sourced from within the USA or made right here at our facility in Titusville, Florida. Yes, our U.S. based production and assembly means less pricing volatility, even in today’s rapidly changing conditions. We can't wait to provide you with great customer service & high-quality products at competitive prices! 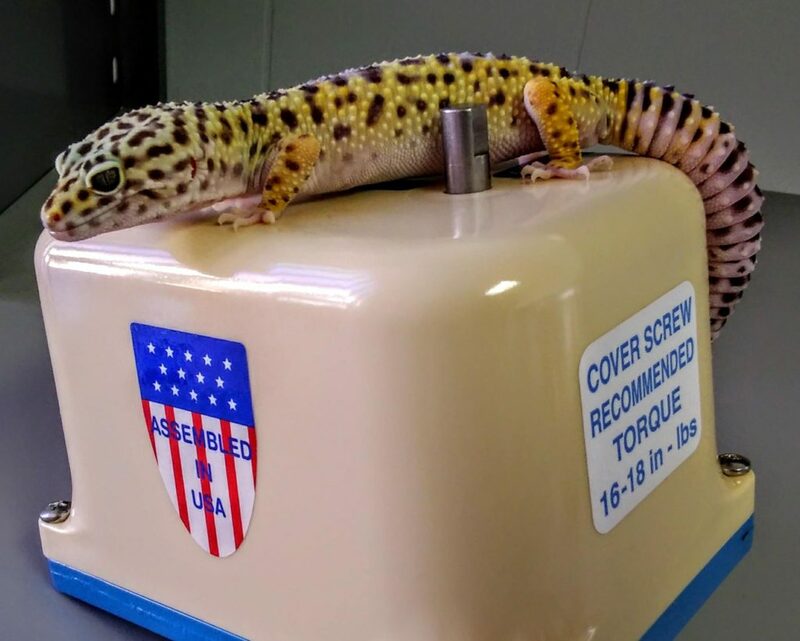 Saphira the leopard gecko inspects a Rex Engineering valve actuator. ← MXC: Most Xtreme Customization!